It was a brisk evening in April of 1960 in McAllen, Texas – one evening before Easter. Irene Garza made the brief drive from her home to her local church, Sacred Heart Catholic Church, where she planned on confessing her sins to father John Feit (then 27 years old), the priest who helped to keep the Catholic residents of McAllen on the straight path. Irene made it for confession, but she was never seen alive again. The next time Garza would be seen was five days later, when her body was found lifeless, face down in a canal. Medical examiners ruled her cause of death as blunt force trauma and asphyxiation. 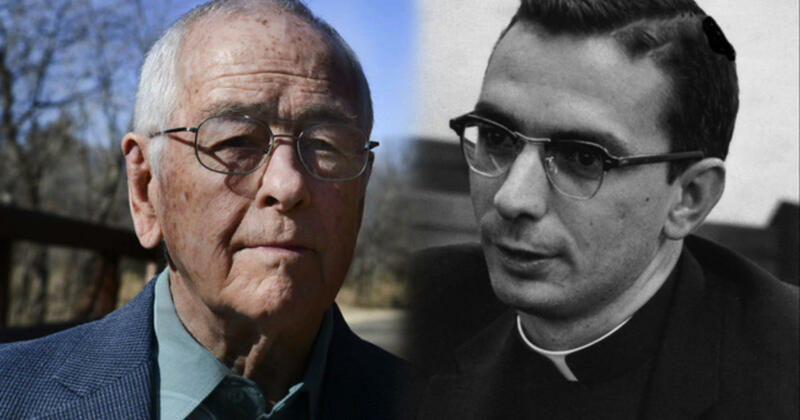 For decades locals theorized that father Feit had – at the very least – known more of the 25-year-old former Miss South Texas turned second-grade school teacher’s disappearance. Feit, most recognized was the last man to see her alive. But Feit went silent, and in a profoundly questionable move on the church’s part, he was transferred to a monastery in Missouri, some 700 miles away. Even more disturbing is the fact that just weeks prior to Garza’s murder, Feig was identified in a police lineup by a woman who claimed he’d attacked and attempted to bind, or kidnap her. Ultimately, Feit pleaded no contest to the charge and walked away from that with a proverbial slap on the hand – a $500 fine… but his dark urges would not be suppressed for long. While we’ll never know precisely what happened on the night of April 16, 1960, the eve of Easter. It’s likely that Garza made her confessions to father Feit, and, before she could make it to her car, was stopped and forced to join Feit on a terrifying journey that would culminate in a senseless act of brutality. Garza’s family, along with members of the media pounced on the DA’s thoughtless dismissal, and eventually managed to re-open the case and bring it before the grand jury. In yet another questionable move, none of the crucial case players — Feit, O’Brien, nor Tacheny — were subpoenaed. The grand jury chose not to indict. The family pressed on, and eventually a new DA — Ricardo Rodriguez would once more go to bat for the family. And this time they won. The battle would continue under the thumb of the law, which means there’s hope – late as it may be – that Garza’a killer will pay for his crimes. In March of 2016 Feit pleaded not guilty to murdering the ex-beauty queen in 1960. His trial is expected to finally get under way early this year. P.S.–Your title assumes guilt of a man who a) is no longer a priest, and b) who has not yet been proven guilty by any jury. It is unfair to assert your assumption of his guilt until all the facts are known and he has been tried by a jury of his peers. Then it’s unfair. That’s okay by me.